No, Hailey, I won't call it 'autumn' cause we say 'fall' here and 'autumn' is actually harder to pronounce. Haha. If you don't know what I'm talking about, Hailey from the blog The Undateable Girl's Diary made her own tag post The Fall Tag with her own questions. She knows I love tag posts so I'm, of course, tagged to answer her questions. 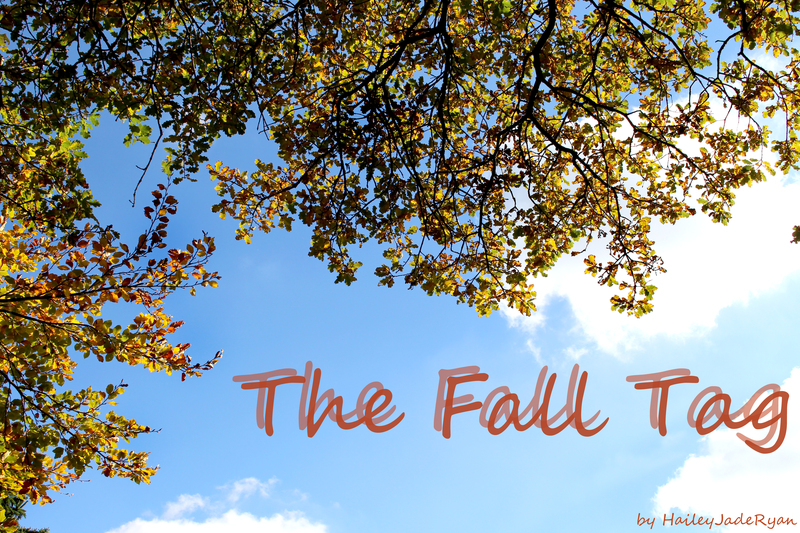 Also, since I'm doing 'fall favorites' post on my other blog, tag is written here. For once, I won't tag anyone in particular, but if you like this idea, definitely leave links to your posts in the comments and tag the lovely Hailey so we thank her for her effort in making this. There are 10 questions so let's go. I absolutely love the nature. It's so amazing during the entire year, but showing all the colors during fall is just beautiful. I love the wind in the trees. I also love being able to see the sunrise as I'm already awake when it goes up. I also love when it's warm enough to just walk around and enjoy the day. What do you dislike about fall? Rain. Plain and simple, but I freaking hate rain. I don't care if I'm out or inside, I hate it. Also, in the past few years, fall got so messed up that we basically go from summer to winter and it's quite cold pretty early into September and I'm not a fan of layered clothes. Also, I think this is more because of Instagram, but I feel like there's pumpkin spiced everything everywhere and I'm not a fan. I also don't celebrate Halloween, so there's too much of it for my taste. How does your perfect day/night in on a cold and rainy day look like? I like to get up pretty early so I have the most of the day, but I'll stay in bed usually on my phone for some time. Then I'll get some warm cocoa for breakfast and I'll watch reruns of one of my favorite show Sea Patrol (that I already watched from the beginning to the end, but I still watch it every day if I have time). Then I would probably order in so I don't have to be bothered in the kitchen. After lunch, I would write my blog, scroll through Twitter and watch YouTube videos. All with my candles lit. I would also take my blanket and put some TV show on or a movie and end the day with popcorns and cocoa again. Not really. We used to go to the woods on the nearest mountain to collect chestnuts, but we as a family don't do that anymore. My mom and me usually go for hot chocolate once a month usually in the nearest McCaffe shop and that's basically it. I'd love to go hiking one day. Hailey just showed this beautiful color and I need to agree. I love dark red, burgundy colors. However, seeing how colorful leaves are, I love them all. I really like warm tones of any dark color. What is your go-to fall drink? 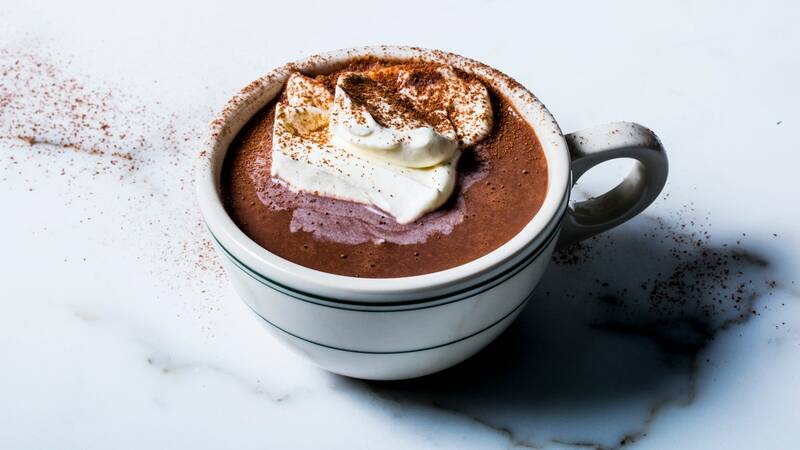 I mentioned it already, I'm a huge lover of cocoa and hot chocolate. I can drink them every day. As I don't like tea or coffee, these are my go-to warm/hot drinks. Every season has a soundtrack. Name your favorite three songs for fall. Oh God. Do you have time for 17 hours of my playlist? Haha. I never thought about it, but I've been listening to the radio and I've noticed some songs that would go great with this season. Take this list very lightly as I'm sure there are hundreds of songs I couldn't remember right now. Do you celebrate Thanksgiving? If yes, how? No. I'm in Europe, in a country that's not thankful for a preceding year. Haha. We have some other holidays, national and church, in the fall so we have some other days to celebrate. Thanksgiving has always been "an American holiday", but I see more and more decorations and ways to slide it in our culture too. Younger generations, who grew up with Internet, may incorporate it into their lives one day, but not that soon. What is your go-to fall outfit? I'm not really a fan of fall fashion on myself so I go with the safest possible outfits. I usually wear jeans, black ankle boots and some black top. I'll either have leather jacket over it or a coat, depending on the weather. I personally think I look good, but basic. And I'm OK with it. Finally, share a beautiful fall picture. Yayyy, I'm so glad you did the tag. And we have so much in common. I wish, we could roam around together, wearing our leather jackets. Just looking for beautiful spots to take photos of. That would be so fun.